If you have ever looked at your water bill and wondered how on Earth it got so high, you are not alone. In a typical household, more than 6,300 gallons of water are wasted every year. Not only is water conservation important for your budget, but it is also even more important for the environment. 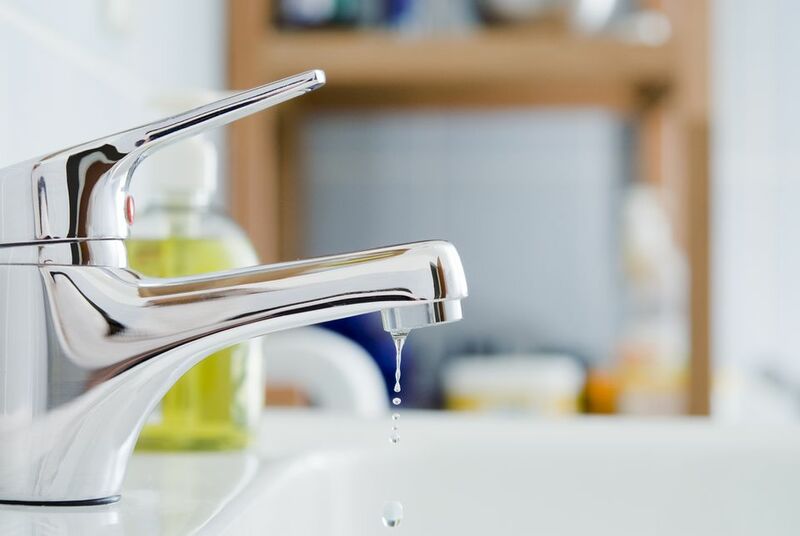 With a few basic tools and supplies such as a crescent wrench, plumber's tape, plumbing putty, and rags, you can begin some of these DIY projects and install water-saving devices on the plumbing fixtures in your home. These simple changes can add up, helping you to save water - and money too. A low-flow, high-efficiency faucet aerator lowers the fixture's water usage by about 4 percent. A standard faucet may be responsible for up to 15 percent of household water use. Making the switch could help you save more than 500 gallons of water every year. To install a low-flow, high-efficiency faucet aerator, unscrew the current aerator and screw on the new device internally or as an external attachment. The old aerator can be recycled. Standard showerheads use 2.5 gallons of water per minute, meaning that a typical shower uses about 11 gallons of water. You can purchase a low-flow showerhead that uses 1.5 gallons per minute or less. A low-flow showerhead is installed by simply unscrewing the old head and screwing on the new one. If there is any rust or buildup on the pipe, remove it with some diluted white vinegar before screwing on the new head. In a home with four people who shower daily, you could save up to 2,000 gallons of water every year. While low-flow complaints were abundant when they first started to become widely used, most brands now make great models that lack nothing regarding pressure. Specially designed fittings can make all of the difference. Be sure to read the details—and, of course, the reviews to find one that will meet your needs. An automatic shutoff nozzle rests between the pipe and the showerhead. To operate it, simply turn the valve with your thumb. You would do this after wetting your hair. The water would be off while you do the shampooing and soap your body. You would then flip the switch back when you are ready to rinse. The temperature of the water would be the same once the switch is flipped back on. You can also screw one of these devices onto your outside water tap for your garden hose. Shower timers use smart technology to measure the amount of water that each person uses in the shower. The device then warns you if you are taking too long in the shower. These devices can be easily installed onto the shower's pipe. Toilets are the biggest consumer of water in the home, using about 30 percent of the household's water. A dual-flush toilet releases about 0.5 gallons of water for urine and the standard 1.5 gallons for solid waste. To install a dual-flush converter, turn off the water supply to the toilet and get the water out of the tank. Unscrew the old flush valve and pull out the old mechanism. Install the new mechanism and restore the water supply to the toilet. Tank bags are a simple solution for reducing the amount of water used with every flush. You can buy special inflatable devices that take up some of the space in the toilet's tank. Alternatively, you can use a plastic bottle filled with water or even place a brick or two in the tank. This will help displace some water, saving a little on each flush. You do not have to remember to press different buttons or change your habits to save water with a tank bag. A grey water diverter is used to recycle water from showering or rinsing laundry into a storage vessel. The water can then be used to flush the toilet or water the lawn or garden. Just be sure to use environmentally friendly products that will not leave any harmful chemicals in the water, such as those from facial products, those with micro-beads, stain lifters, bleach, and soaps. If you have a lawn or an outdoor garden, you probably want it to be vibrant and lush. Soaker hoses and drip irrigation systems release the water slowly and directly onto the plant's roots. This helps to reduce runoff and minimize evaporation. The hoses can also be set to a timer. Using these watering devices for your yard could cut watering use by up to 50 percent. A rainwater tank or rain barrel stores rain that drains off of the roof and into the gutters. You can use this water for your lawn and flowerbeds. To install this, you will need to remove the existing downspout and connect rubber hosing to the opening of the gutter. The other end of the hose is inserted in an opening in the lid of the collection device. You could also make your own rain barrel out of food-grade plastic. A rainfall shutoff device connects to your sprinkler system and shuts it off when there is moisture on the soil from a recent or current rain shower. This is convenient for when your sprinkler would go off, but you are not home to turn it off during rain. Rainfall shutoff devices are relatively inexpensive, costing between $25-$100, and easy to install. An even better water saving system is a weather-based irrigation controller but to install one is a more challenging DIY task. Saving water is easy to do when you automate the process. These inexpensive, time and money-saving devices could cut your water bills by up to 50 percent. You will steward the limited natural resources of the Earth and also save some money.